And as promised.... here is the & Other Stories giveaway!!! I was so excited to finally visit the store in Milan, got the cutest things, a bunch of beauty products, and of course, I had to get something for you too!!! If you do not know this new brand under the H&M group, you can find out more here. - Fill the form below. *Giveaway begins Nov/7/2013 and ends Nov/21/2013 at Midnight. 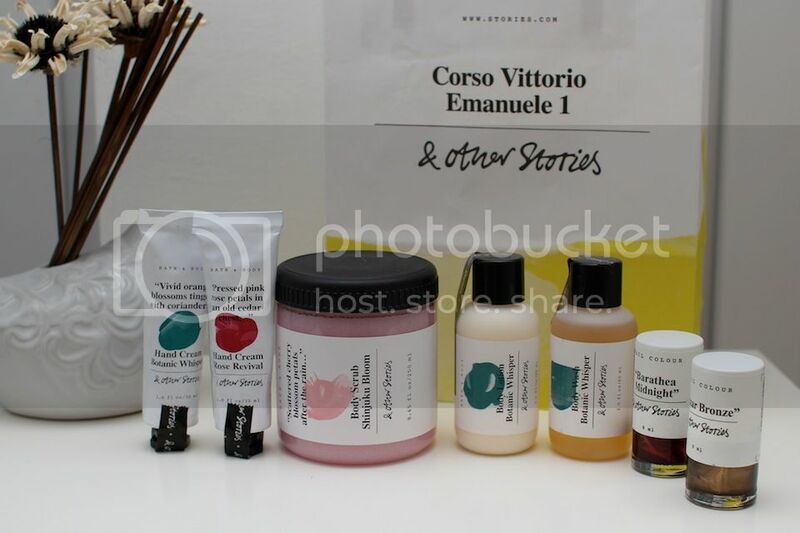 I love & Other Stories, it's a fabulous shop hun! Oh, what a great giveaway!!!!!!!! This giveaway is really great! nice giveaway! i would love to try those beauty products too! Awesome giveaway! I appreciate your thoughts hun...Happy End of the Week! yaay!♥ lovely giveaway! :) I entered! Thankyou for for this lovely giveaway and thanks for making it international.